This is often overlooked by so many. Inexperienced mixers generally jump straight into a mix, ignoring the preparation process as they want to start being creative by throwing faders around. Preparing a mix session provides a solid base from which to navigate a mix from. An experienced mixer will always have their sessions setup to look and operate in the same way so that every project they work on will have a familiarity to it. This limits confusion to the mixer when moving around the music. Inexperienced mixers need to develop their own project feel by using colours for tracks, positions, names, plug-in directories and session templates. Having these choices established in a templated workflow will mean the creative aspect of mixing can be more immediate and intuitive. There are no rules to making a unique mix layout, as long as it works for you. Taking breaks from mixing is a discipline that we all need to remember to exercise. Being able to step away from all the mixing choices and creative ideas will give your ears and intuition a chance to relax. I find it very useful to give myself a short 5 minute break outside of my mix room every half hour. This means that every time I re-approach the mix I can truly judge and critique my work so far. Save time fixing mistakes caused by fatigue. This can be easily avoided by taking regular short breaks from a mix. I mix with a lot of mindsets with the main one being plug-in count. How many plug-ins do I need? Well, if I see that I have machine-gunned my mix window with an uncountable amount of plug-ins I have to stop and ask myself “Do I really need all of those?” To answer that question I have to start bypassing things so that I can A / B the before and after sonics. Always re-evaluate a plug-in chain's purpose later in the mix process. 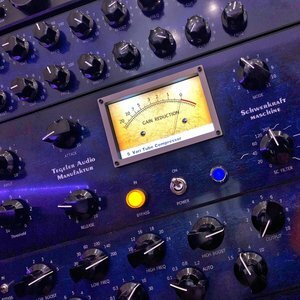 You may be surprised that either some of your plug-in chain choices hurt the overall feel of the music or that some chains do not provide any purpose to the source audio. Remember, first and foremost… mixing is a creative process. Try to avoid micromanaging some of the smallest aspects in a mix. This can hurt the overall framing of the mix and the music. The clarity of the full picture cannot be realised this way. Don’t get me wrong, small edits and subtle features do need to be discovered in a mix but generally they should be incorporated towards the end of a mix process. Music is all about instinct, don’t ignore yours. When does the artist know when to put down their brush? The age old question that has many answers. In truth, artists don’t really know themselves. The answer can come from feedback provided by others. Distance from the art itself is also useful. I find if I cannot trust my final mix judgement I will end up putting one or two days distance between myself and the song in question. This always provides me with fresh perspective that often gets subdued through a mix process.